Place 2/3 cup of the corn into a blender along with the whipping cream, cream cheese, ricotta, flour, sugar, and all of the seasonings. Cover and blend until smooth. Spray the inside of a slow cooker with non-stick cooking spray. 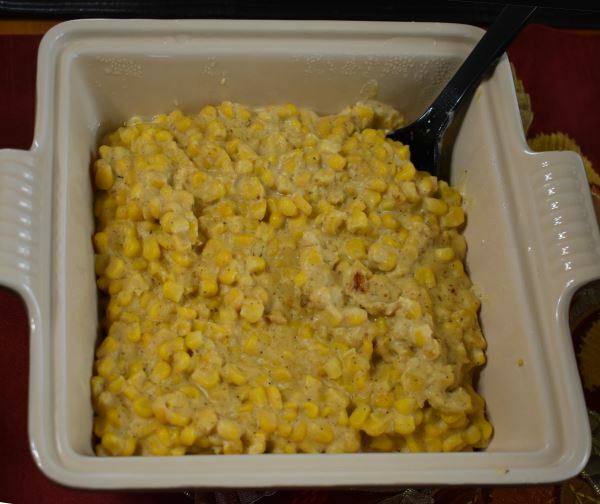 Pour in the pureed corn, remaining corn, and butter. Cover, and cook on low for 4-6 hours, stirring occasionally.